Accidents Happen. Buy International Medical Coverage. This is not a happy post. A friend and workshop participant arrived several days early to do some sightseeing on her own before our program started. The taxi she was traveling in crashed into a concrete barrier on a major highway. 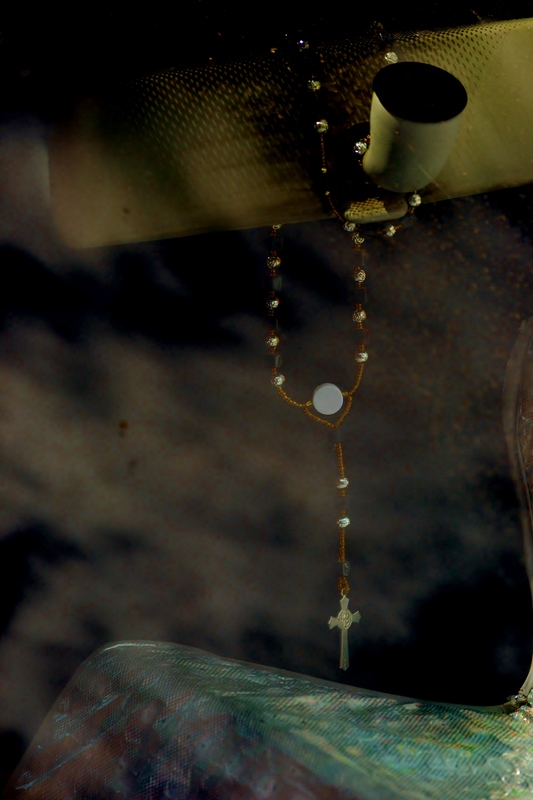 On impact, she was thrown from the back seat to front, hit her head on the dashboard, and went into an immediate coma. She did not have international health/accident insurance and she was not wearing her seat belt. I urge you to always wear your seat belt. Even in collectivos where they pack 5 passengers into a 3 passenger vehicle. It took me over three hours to get to her from the city center to the suburban clinic because of traffic to intervene. It took hours of bureaucracy to get her moved from this clinic with limited facilities (where the ambulance took her from the accident site) to the best hospital in the city with a neurosurgery unit. The cost for an emergency admission at a private, highest quality tertiary care center in Mexico, is 200,000 pesos payable in advance. That’s about $15,000 in today’s exchange rate. That’s the base. The cost for a medevac airplane to take an accident victim to the U.S. is $60,000. This covers the logistics. I am unable to talk about the emotional impact to her family, friends, and to me. It’s too painful. This woman is young, beautiful, smart, and sensitive. She does good work in the world that makes a huge difference in people’s lives. It’s called an accident because we never know who it will happen to, what the severity will be, when or where it will happen. Mexico is a wonderful place to visit. However, you don’t want to be without medical insurance coverage here. Indeed, if you travel the world, you need to be covered. I am now requiring that anyone who attends one of our programs carry international travel/accident insurance. Before it was an option. Now, it is a requirement. Accidents happen. Let’s be prepared. 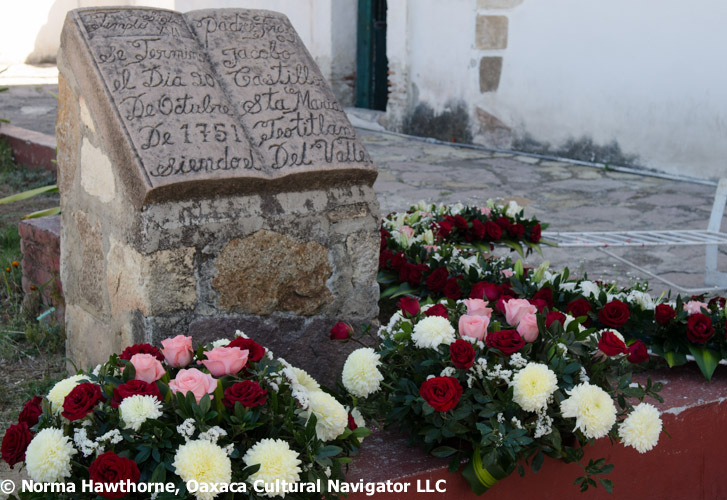 Off the beaten path and definitely a must-see, Santo Domingo Yanhuitlan is a small Mixtec pueblo located about an hour-and-a-half north of Oaxaca city, off the Carretera Nacional toll road to Mexico City. 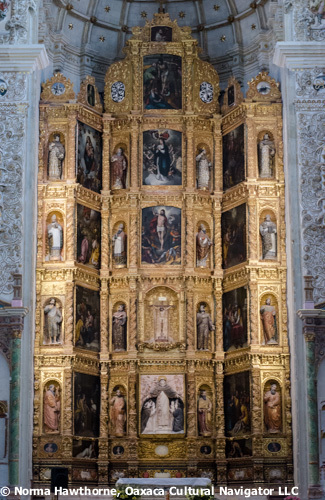 It is the home of an extraordinary Dominican Church whose massive stone architecture is reminiscent of the finest European churches, complete with flying buttresses and elegant arched ceilings. Six thousand indigenous people constructed it beginning in the mid-16th century. 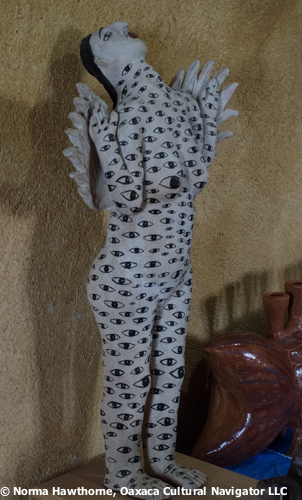 Ceramic artist, sculptor and painter Manuel Reyes lives here, too, with his wife Marisela, also an accomplished artist, and their two children. 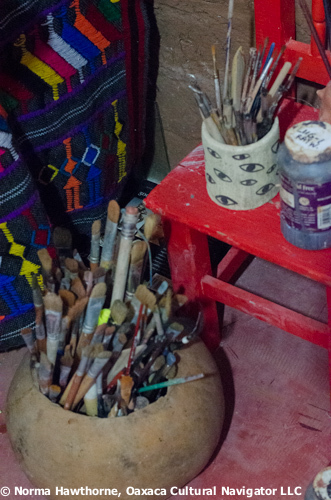 They are what draw us to this place since their work is not sold in Oaxaca city. They have been exhibited in galleries throughout the United States and recognized in numerous contemporary art journals and books. 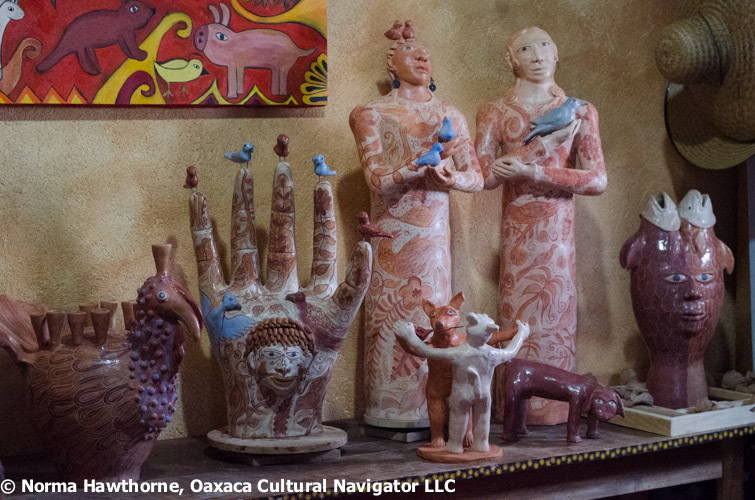 Manuel understudied with potters from throughout Oaxaca state and has been working with clay for fifteen years. He uses a gas kiln and fires his work at 900-1,200 degree Fahrenheit temperatures, unusual for the region where most clay work is low fire, cooked in a shallow wood-fire kiln. 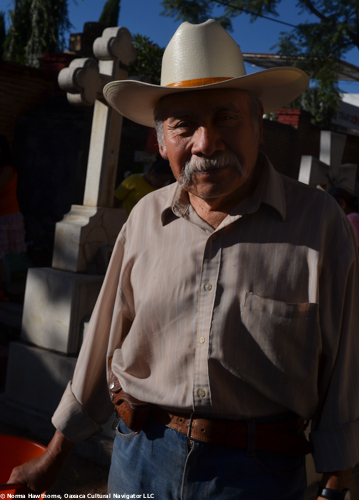 Manuel gets his red clay from pits in San Jeronimo Silacayoapilla, not far from his home in Tlaxiaco. He says the clay from here is the strongest, the best. 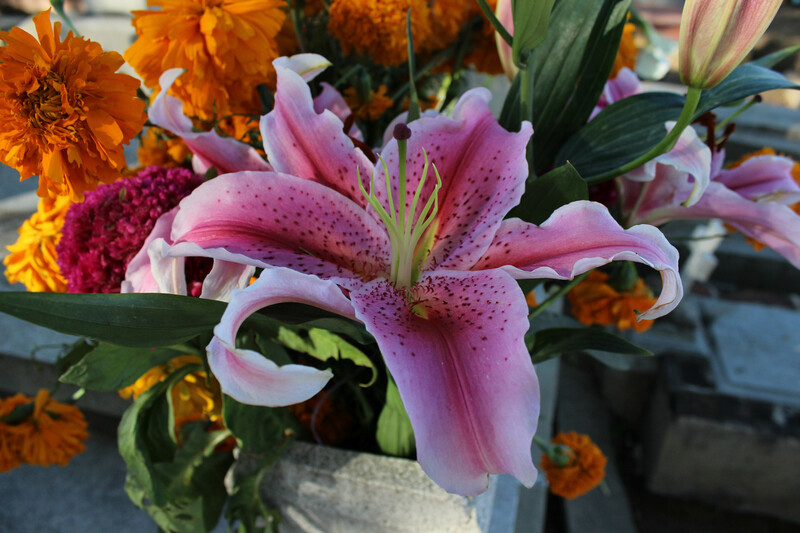 Yanhuitlan is Marisela’s home. This is where they have created their life and work together. The children are also collaborating, making small clay figures and painting on canvas. 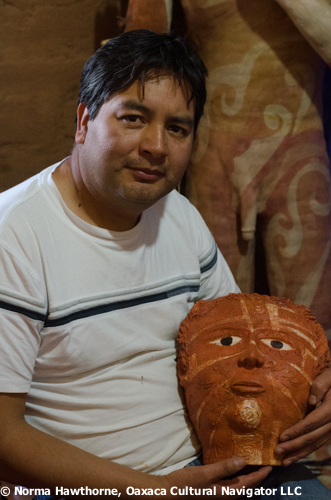 The clay is painted with natural mineral pigments that Manuel gets from the local region. Some of his work is primitive. 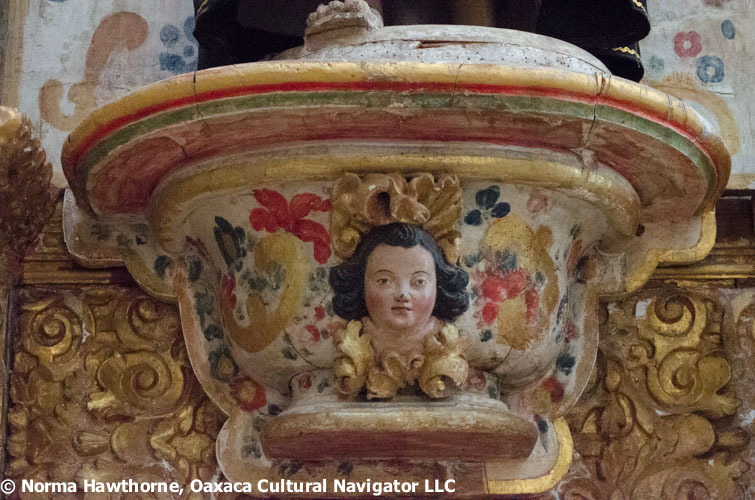 Other pieces are highly polished polychrome with three or four colors. 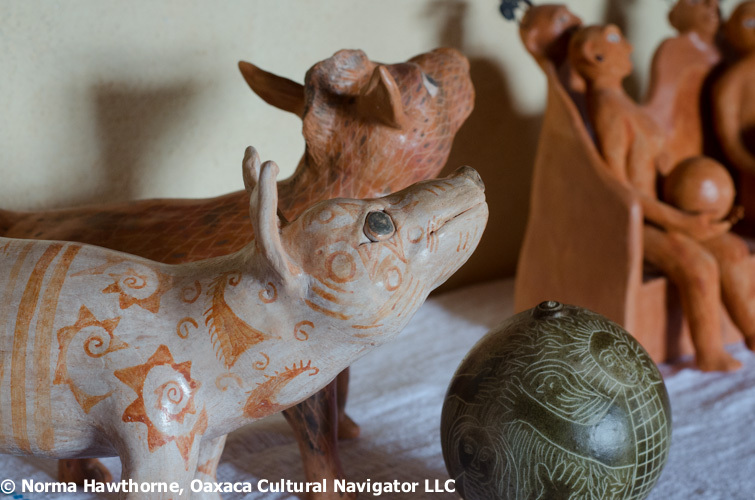 Pre-Hispanic designs on clay come from pottery shards that Manuel finds in the region. Marisela and Manuel invite us to join them for lunch. 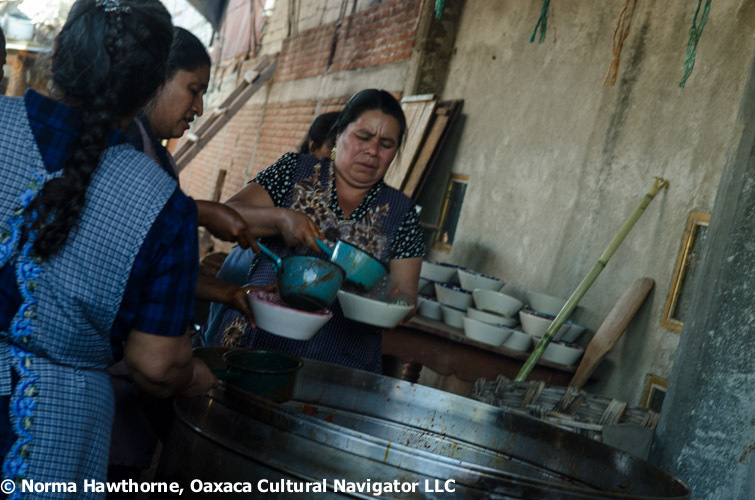 It is a homemade red mole with rice, black beans, fresh tortillas, and another type of tortilla, rougher, denser, made with wheat flour by Marisela’s mother. I pass on the mezcal because I’m driving! The head sculpture is a napkin holder. Magnifico. 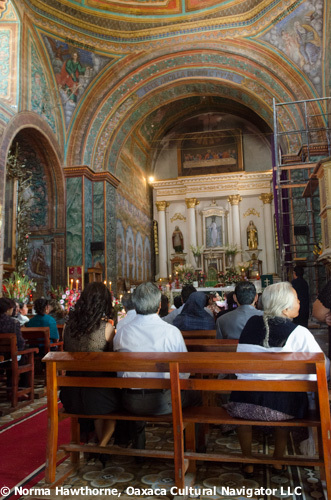 The church is one of the most important colonial sites in Mexico. 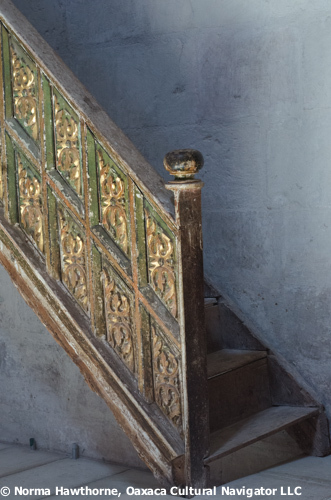 Why was it constructed in this tiny town that seems to have little or no importance today? 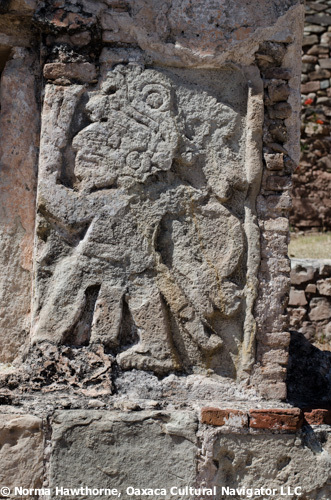 Yanhuitlan was on a major pre-Hispanic trade route and the Mixtec temple there was a very important indigenous religious site. The Spanish imported the European silk worm and Yanhuitlan became the center of silk cultivation for export. 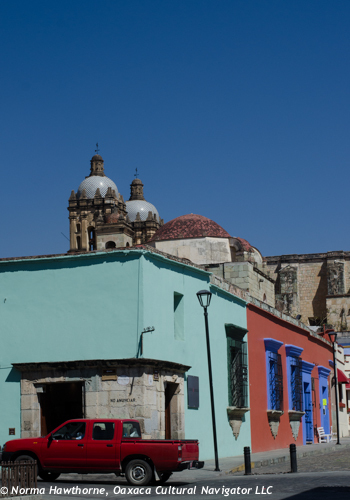 Silk, along with cochineal, made Yanhuitlan an important economic center. Hence, this imposing church — extraordinary and definitely worth the visit in its own right. 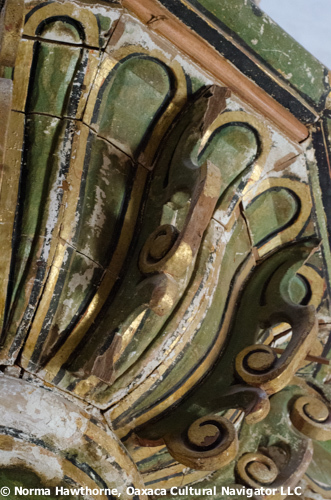 Note the Mixtec carving embedded into the church wall. A practice for attracting and converting locals. 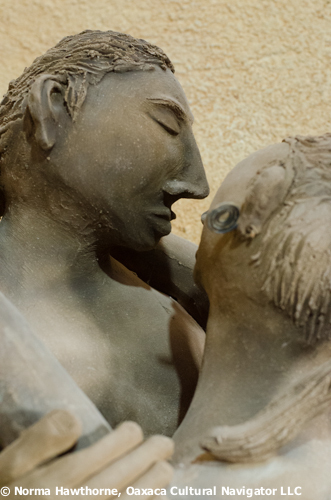 Couple the stop with a visit to the home studio of ceramic artist and sculptors Manuel and Marisela Reyes and you have a very satisfying day-long excursion to explore the art and creativity that is Oaxaca. 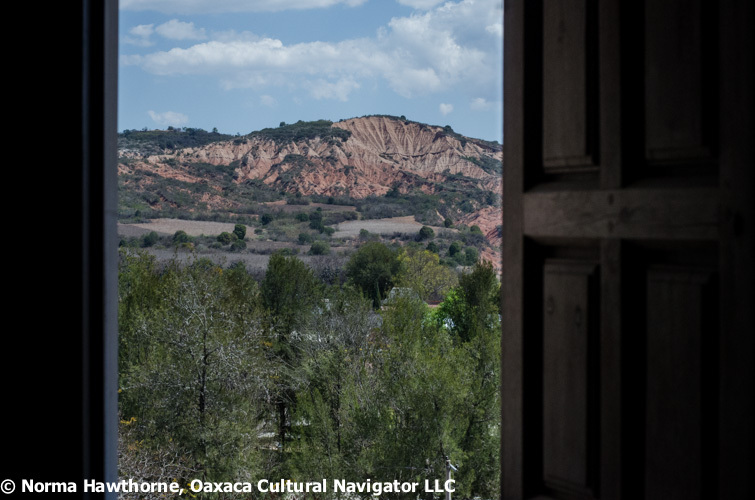 How to get there: Go north from Oaxaca on the Cuota–toll-road–to Mexico City. 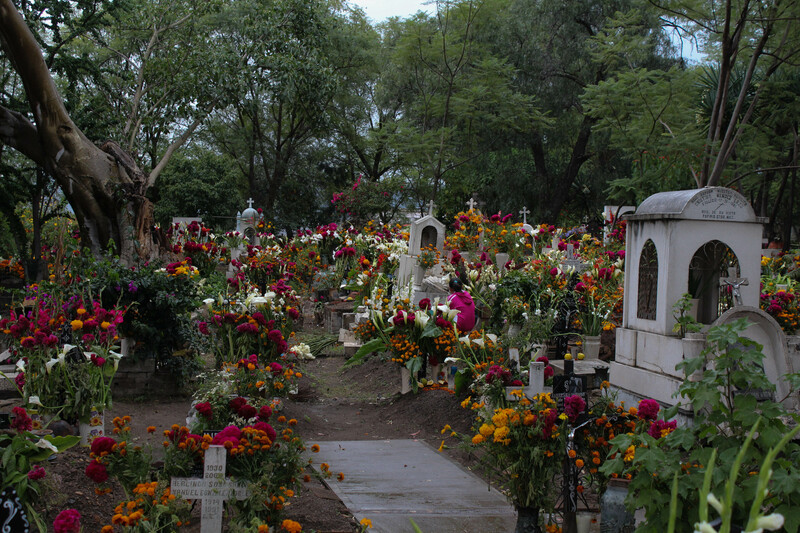 Exit at Nochixtlan. Turn left and go over the toll road bridge. Continue northwest. Follow the road signs to Yanhuitlan. The church can be seen from several miles away. 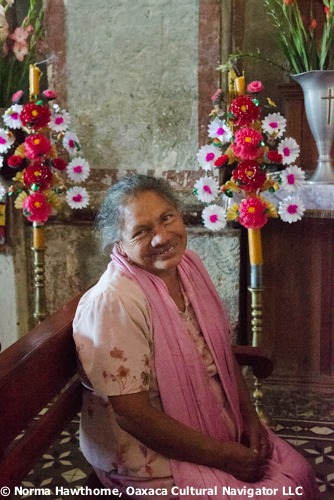 To find Marisela and Manuel Reyes, go to Aldama Street which faces the side entrance of the church. Drive until the end. Their house is across from the Calvario church (metal dome), which is part of the original convent. coloresdeoaxaca@yahoo.com.mx or call 951-562-7008 for an appointment. Special thanks to Francine, Jo Ann and Tom for guiding me there! 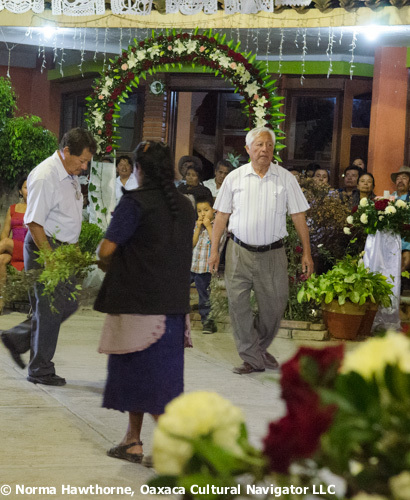 The church wedding is an important part of Zapotec community life. 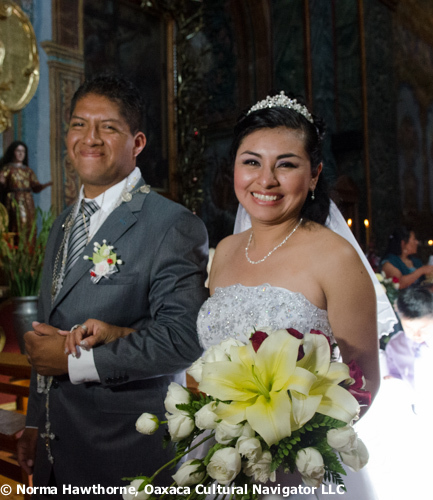 Often, a couple will have a civil marriage ceremony and begin their family as Rosalia and Uriel did three years ago. 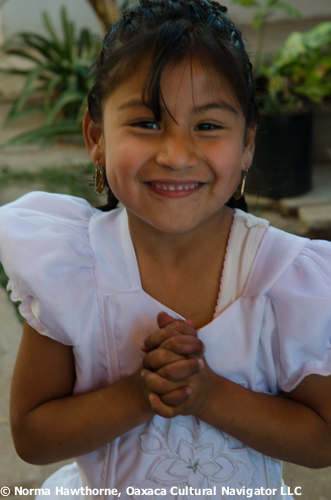 Their dream will be to save enough to hold a religious service that recognizes their marriage in the eyes of God. 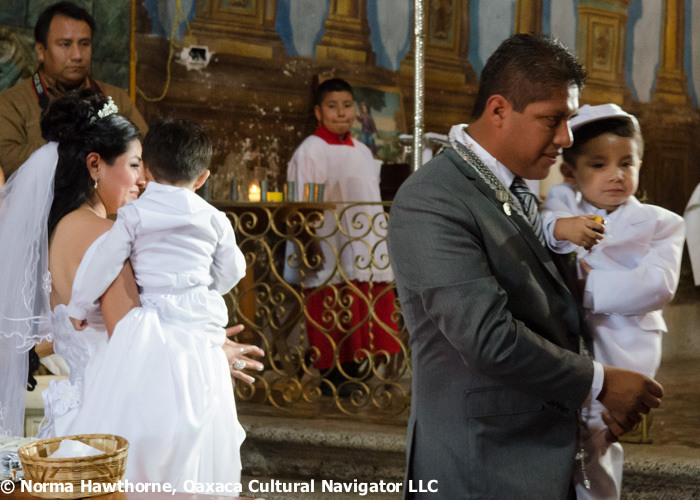 Their young children are baptized as part of the celebratory mass. This is common practice. 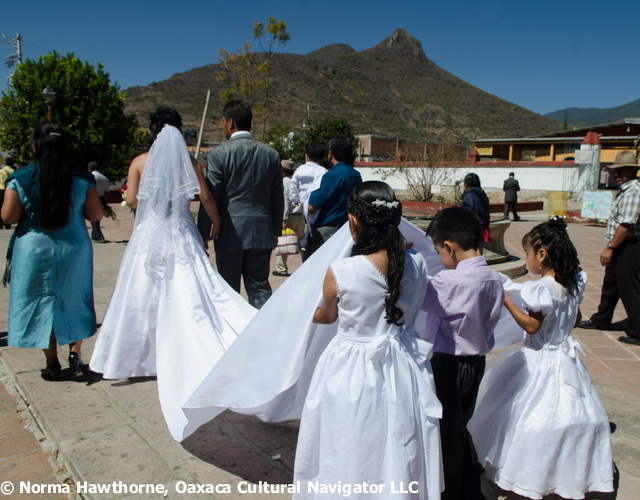 As a by-product of the Mexican Revolution and its sweeping reforms, the state eradicated church political power and confiscated lands, so it is the civil ceremony that takes legal precedents. Yet, the traditional church wedding holds strong emotional appeal for many couples, their parents and extended family. 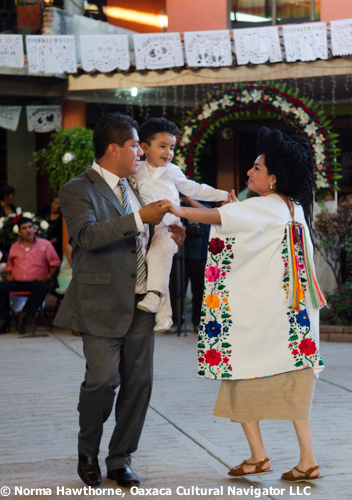 Uriel and Rosalia’s wedding began with a twelve o’clock noon mass at the Teotitlan del Valle church and included the baptism of their two young sons, Emilio and Cristian. 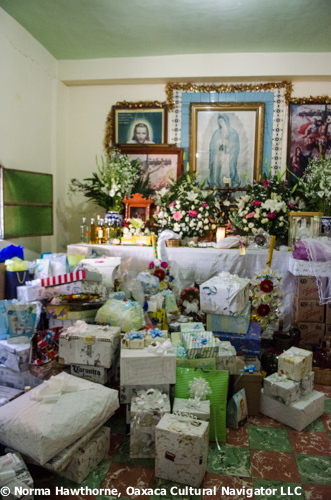 There were about two hundred people attending, a fraction of the six hundred who would later join the fiesta and meal at the home of Uriel’s uncle and aunt, who hosted the event. 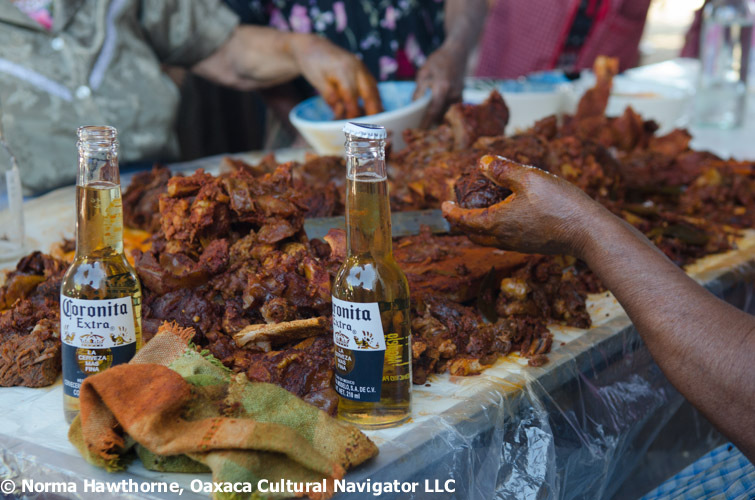 In Zapotec tradition, it is the groom’s family who hosts and pays for everything: the two large bulls slaughtered to become barbacoa (barbecue) to serve the multitude, the beer and mezcal, the band, the tortillas, fresh flowers, decorations, gifts for guests, ample takeaway containers, and an elaborate, multi-level wedding cake filled with strawberry cream. There is not usually a cash outlay for these expenses. 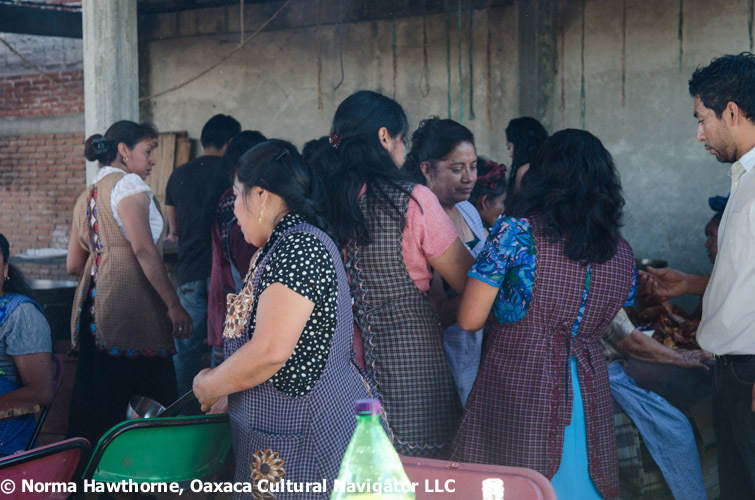 It is part of the elaborate mutual support, bartering, give-and-take system called guelaguetza in Oaxaca’s usos y costumbres pueblos. Extended family comes together to do what it takes to host. For example, I give you a pig one year for a baptism. In six years, when my son gets married, I ask you to return the pig to me. Maybe it weighs a little more than the one I gave to you. That’s how it works and the cycle continues. Wedding preparations began weeks before. The women of the family gathered to plan the food and make decorations. 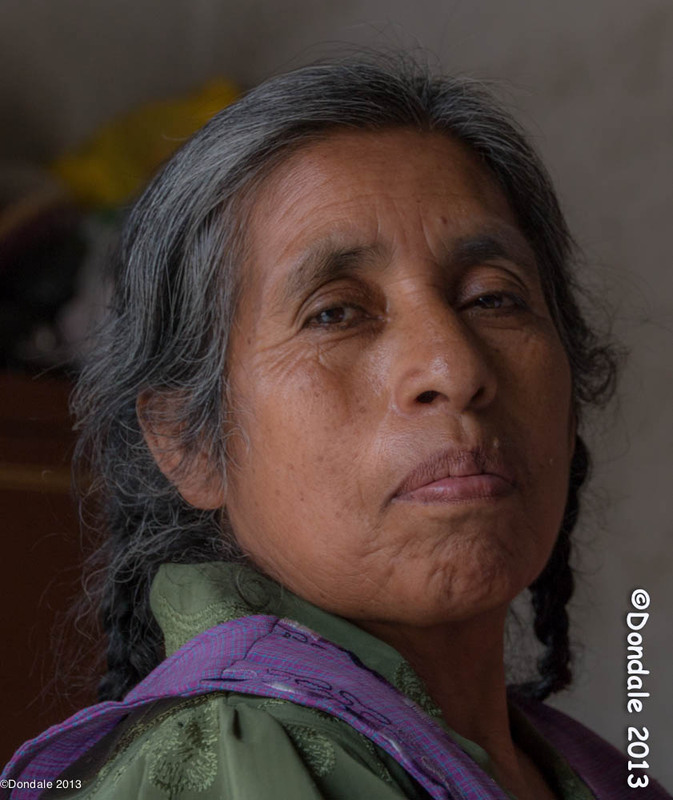 They ordered large yellow corn tortillas handmade in a neighboring village. 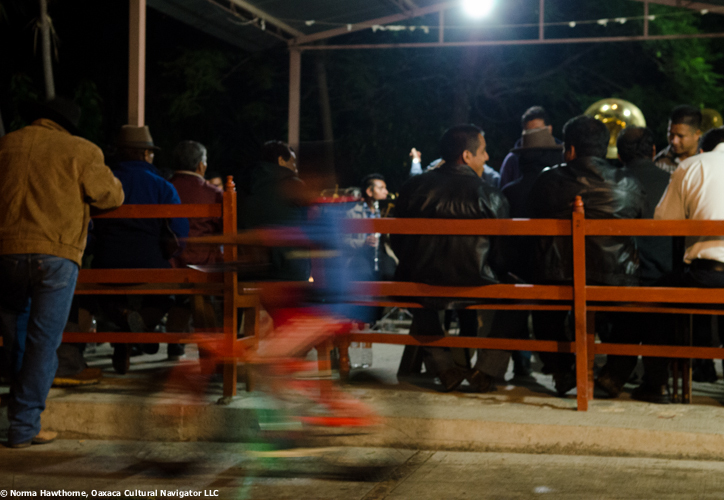 Men conferred to determine how many tables and chairs, cases of beer, and bottles of mezcal would be required. Together, they all determined the collective resources needed to mount this significant event. 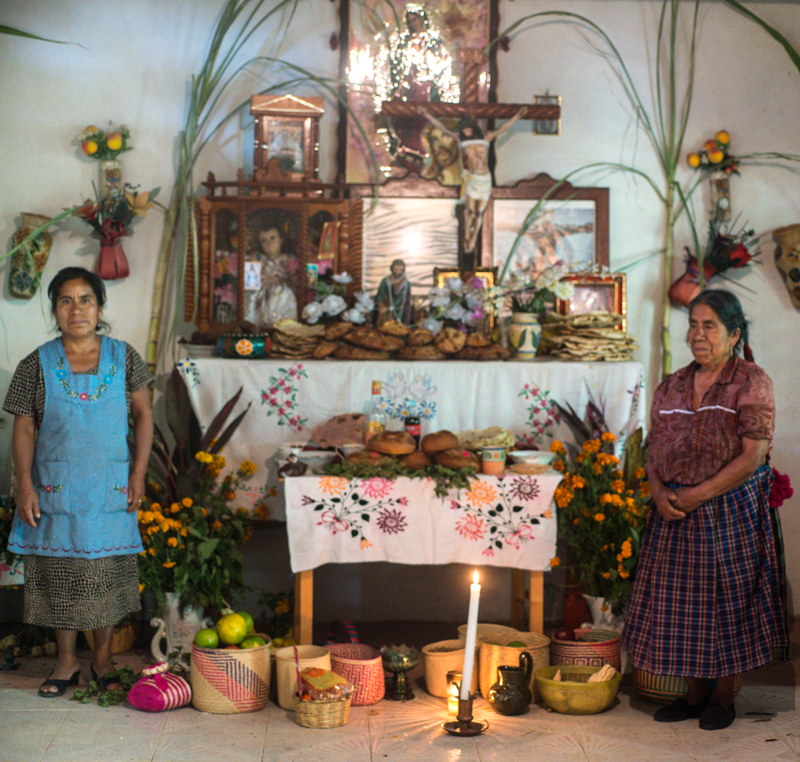 Then, on the wedding day, they served the hearty festival dish offering greeting of buen provecho to each guest. 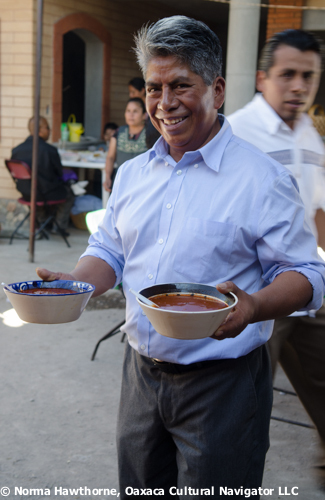 On the wedding day, Uriel’s extended family pitched in to cook and serve: aunts, uncles, cousins, nieces and nephews. As guests arrived, more tables and chairs unfolded. Their arms held extended in greeting, offering gifts, adding their tribute to honor the couple and their families, an ancient practice modernized. 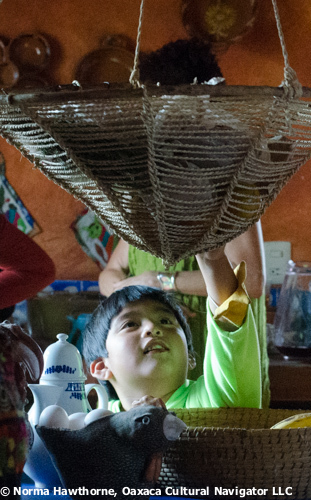 In addition to bottles of mezcal and cases of beer, guests brought cookware sets, utensils, toys for the boys, dinnerware, drinking glasses. and other household items. There was even a new washing machine and bedroom closet on display outside the altar room. Inside was barely passable. The line to greet the newlyweds and family snaked through the courtyard and out onto the sidewalk. We all waited patiently to offer personal congratulations. 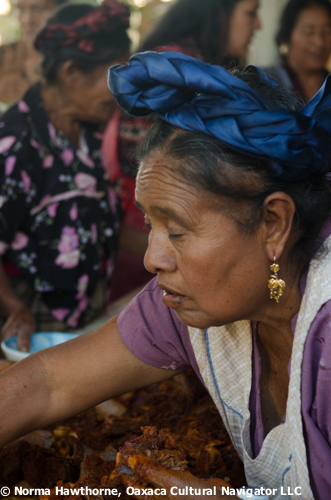 In the back of the family compound an army of 60 women were on hand to measure out the meat and broth so that everyone would have their portion. They had been tending the stew pot for days. 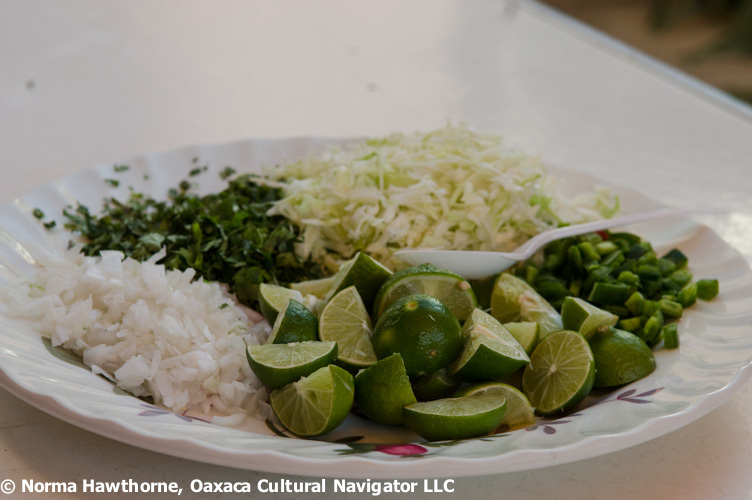 Platters of fresh tortillas, lime wedges, shredded cabbage, diced onions, and cilantro were set on each table to add as condiments to the spicy meat. After the meal, the plates were cleared, the tables folded and stacked in a corner, and the chairs arranged in a circle. Let the dancing begin. 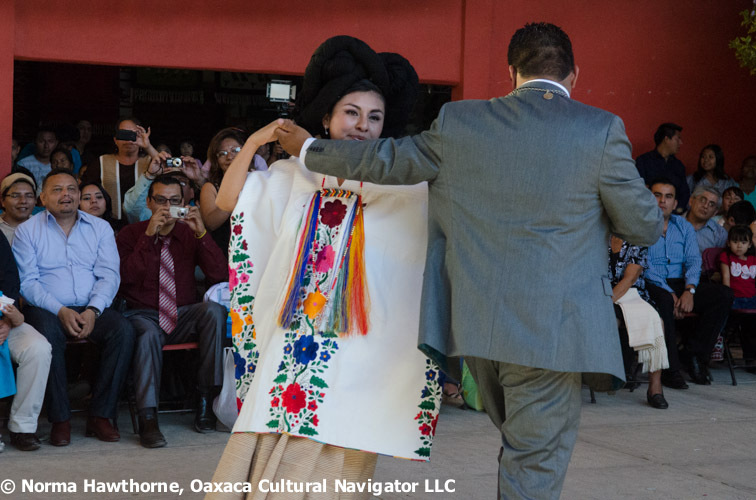 First, the band from Yalalag played as the couple came out, she adorned in traditional dress from her native Zapotec village. 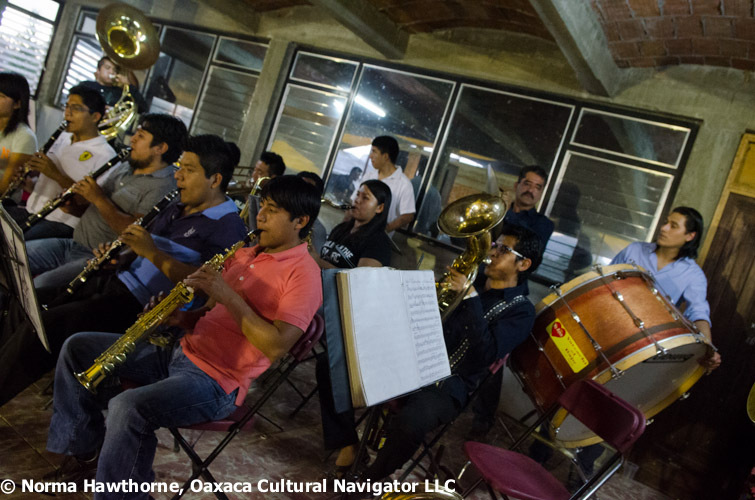 Then, Teotitecos welcomed their band to play the traditional Jarabe del Valle. 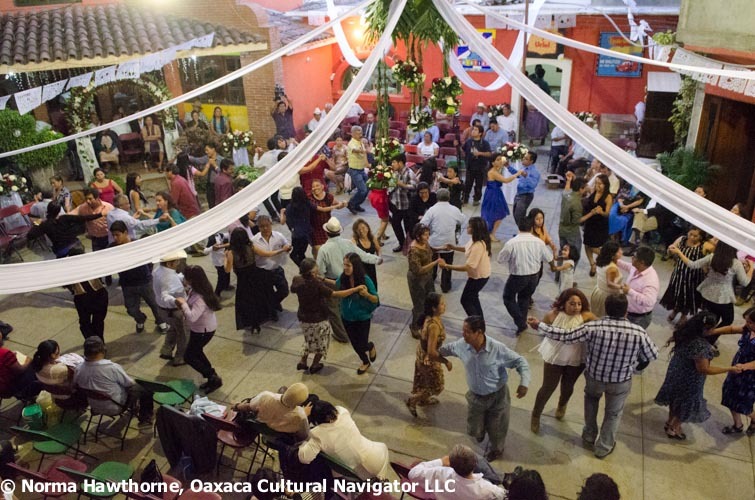 Paco served as master of ceremonies, inviting family members to dance with the couple in honor of their emotional, financial and in-kind support. 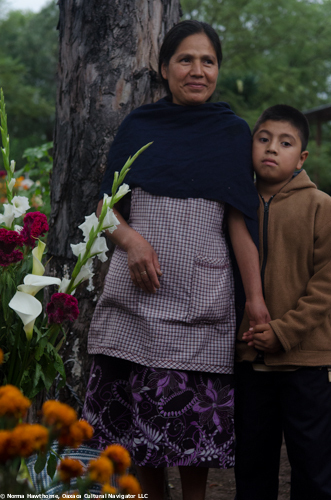 Celebrants carry fragrant herbs gathered from nearby mountains. 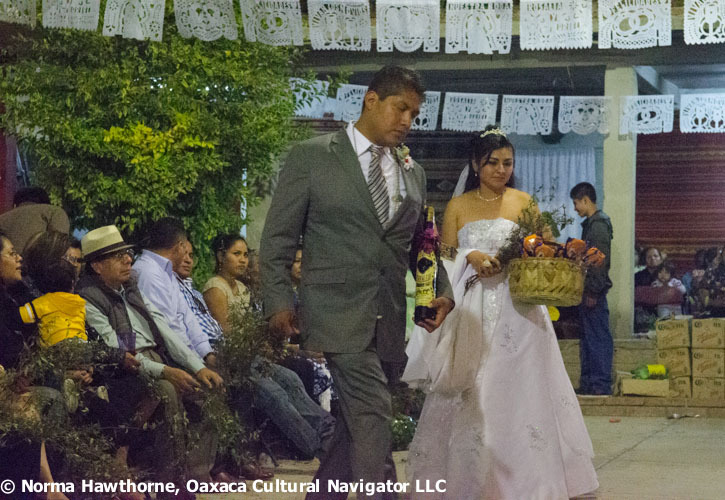 On the bride’s arm is a basket filled with flowers, bread and chocolate — essential for sustaining life. The party continued through the next several days, and I could hear the band and firecrackers each morning and evening. 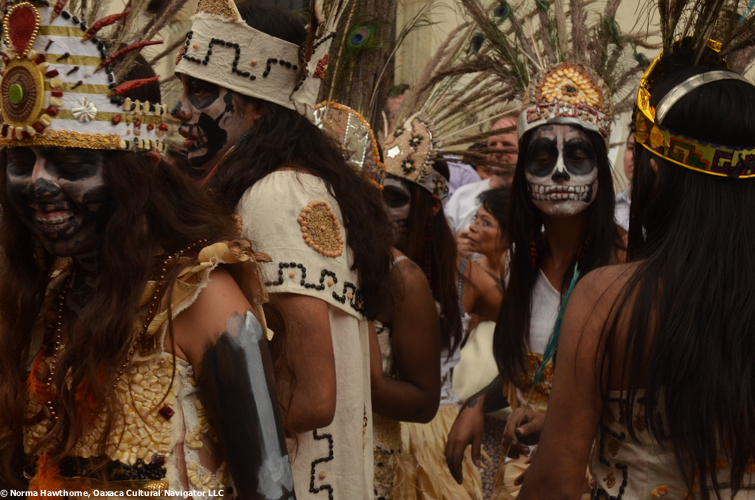 These celebrations are rooted deeply in a pre-Hispanic past, embedded in memory. It is a wonderful experience to share. 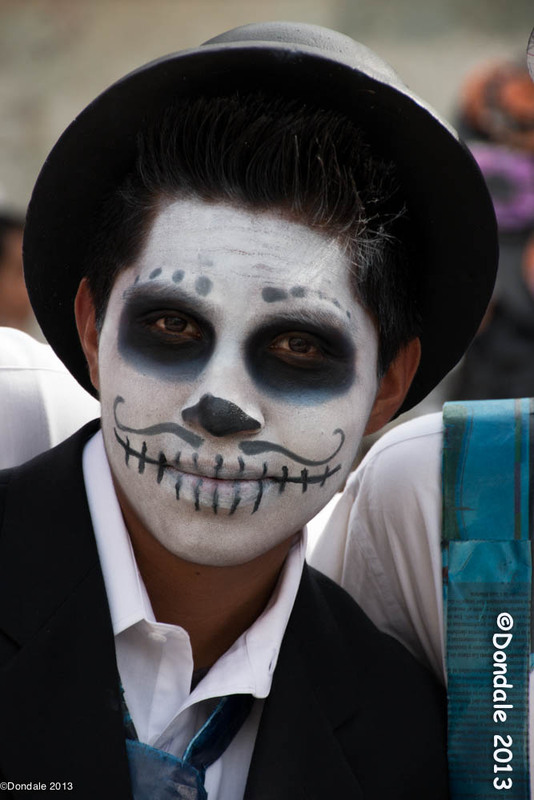 Oaxaca, Mexico, is famous for its Day of the Dead celebrations. You experience it and capture it for a lifetime of memories! 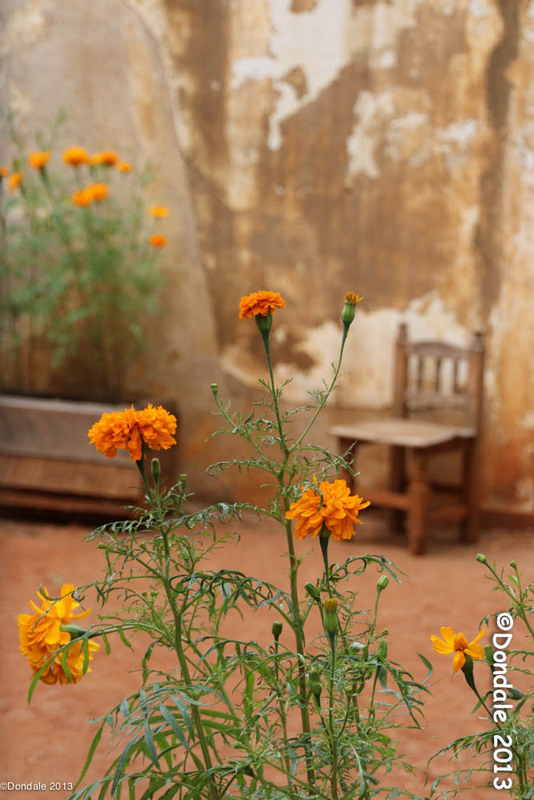 This is cultural immersion travel photography at its best! Arrive Monday, October 27, depart Tuesday, November 4— 9 days, 8 nights, starting at $1,895 per person. Limited to 8 participants. Small Group. Personal Attention. Beginners and more experienced photographers welcome. Trailing spouse and cooking class options. 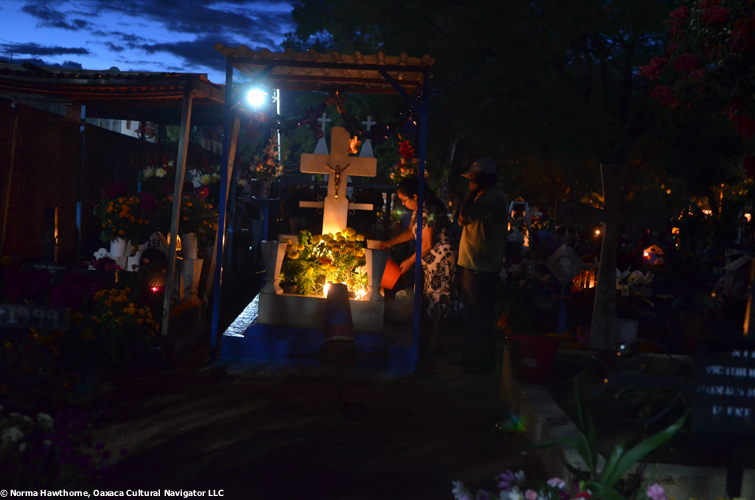 This is our Fifth Day of the Dead Expedition in Oaxaca, Mexico. 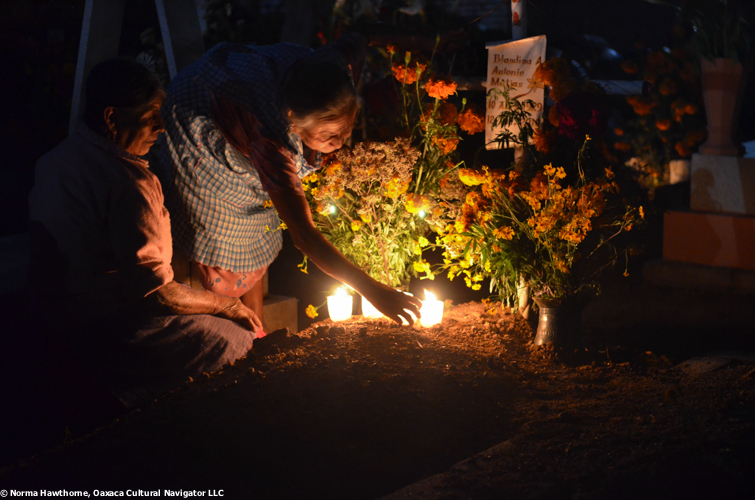 More than a tour, this is a hands-on photography workshop for learning and improving technique while you experience Oaxaca’s famed Day of the Dead rituals. By the end of the week, you will better use your digital SLR camera for visual storytelling and cultural discovery. Your workshop leader is Frank Hunter, whose photographs are published in the New York Times, and are part of museum collections worldwide. For over ten years, Frank taught at the Duke University Center for Documentary Studies in Durham, North Carolina. 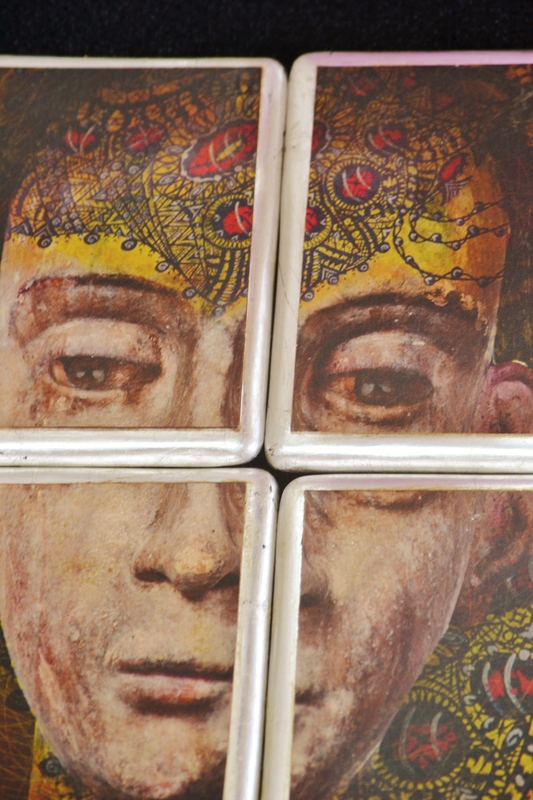 He now lives in Santa Fe, New Mexico, and is represented by Thomas Deans Fine Arts gallery in Atlanta, Georgia. 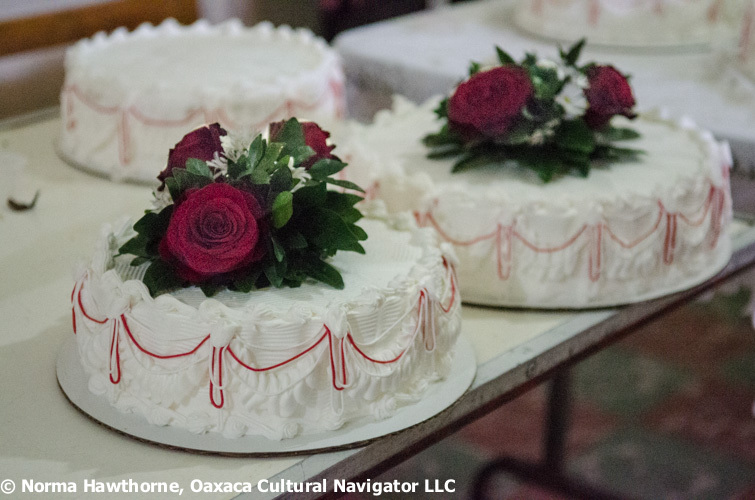 This cultural immersion workshop tour offers you a deeper appreciation for the food, religious symbols, rituals, family celebrations both in the city and in the rural Zapotec village of Teotitlan del Valle. 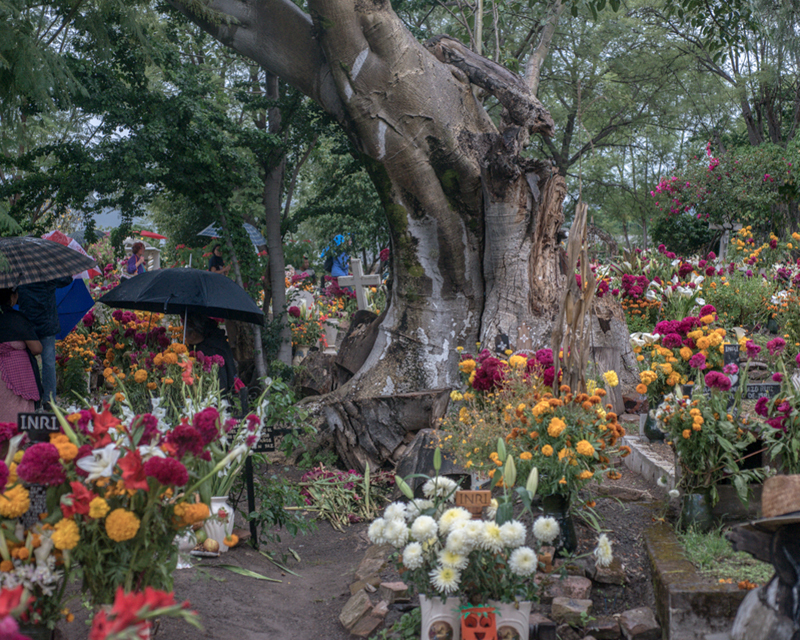 We take you into cemeteries, local homes, markets and cultural sites. During our week together, we will review each other’s work, give feedback, and offer supportive critiques. The workshop includes a mix of class instruction and being out on the streets to capture the action. We offer structured group discussion and opportunities for daily coaching sessions with Frank. Technical topics covered include using Lightroom photo editing software, natural light, exposure, manual camera settings, and night photography. Frank says he uses just enough technique to help you express a visual idea. 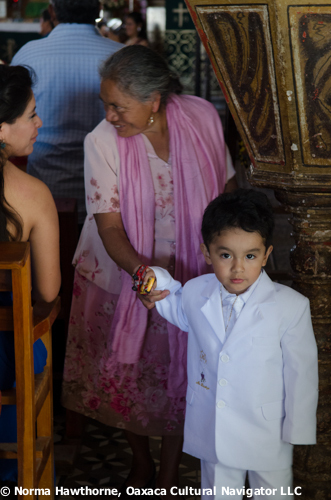 We emphasize documentary-style photography, an organic, spontaneous form of understanding the culture and people you are photographing. 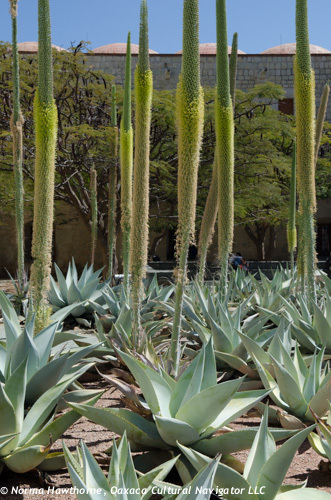 Frank grew up in the American southwest and spent his early years photographing people and landscapes of Mexico. He has taught at the university level for more than 20 years. Frank is a virtuoso photographer, as adept at digital photography as he is with creating 19th century style platinum/palladium prints. 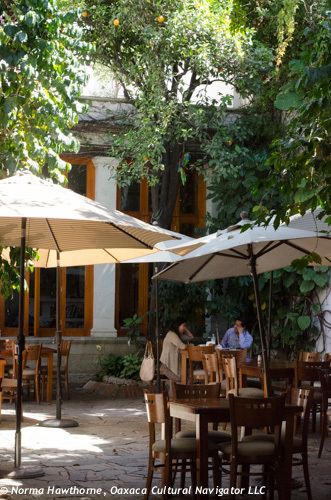 Day 1, Monday, October 27: Arrive and check-in to our colonial-style hotel near the Zocalo and main walking street of Macedonio Alcala. Dinner on your own. 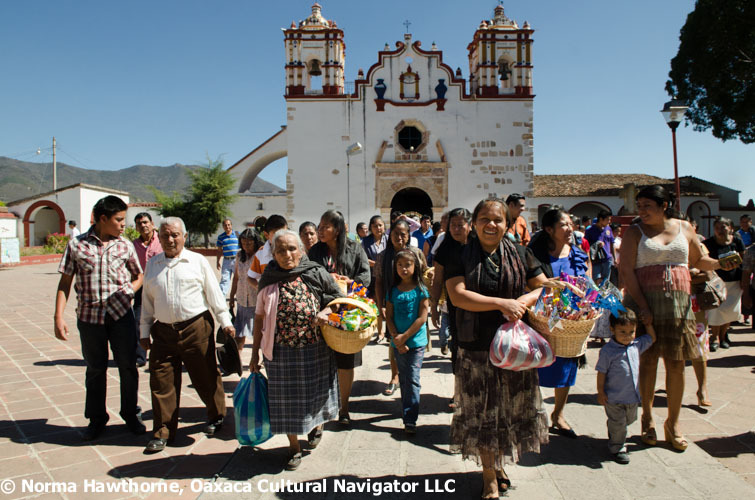 Overnight Oaxaca. 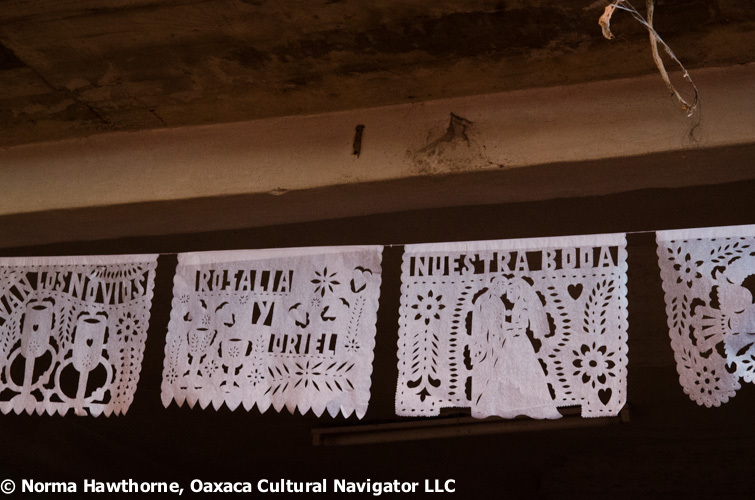 Day 2: Tuesday, October 28: After breakfast, welcome and learning session on camera settings and exposure, we will go on a city orientation walk, visit markets, gilded in gold Santo Domingo Church, and enjoy a welcome lunch at one of Oaxaca’s slow-food restaurants. After a gala welcome lunch we will meet for a Lightroom tutorial to review the workflow that will get your images edited and moved to Dropbox. 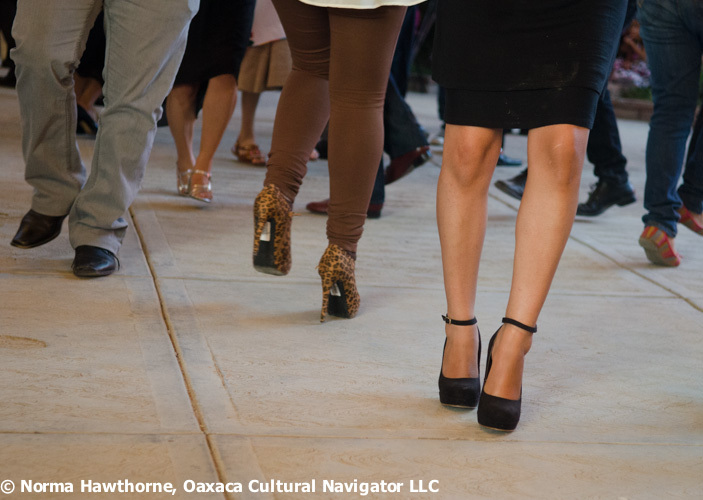 Overnight Oaxaca. (B, L) Dinner on your own. 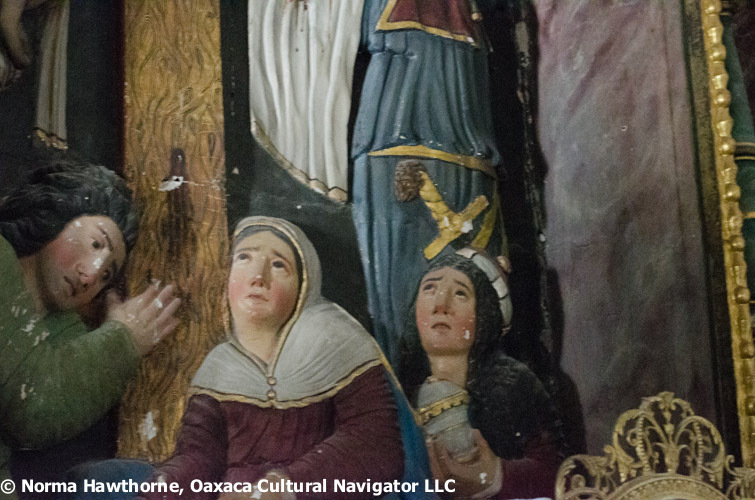 Day 3, Wednesday, October 29: After breakfast and workshop session, we will tour Monte Alban archeological site and the pottery village of Santa Maria Atzompa. 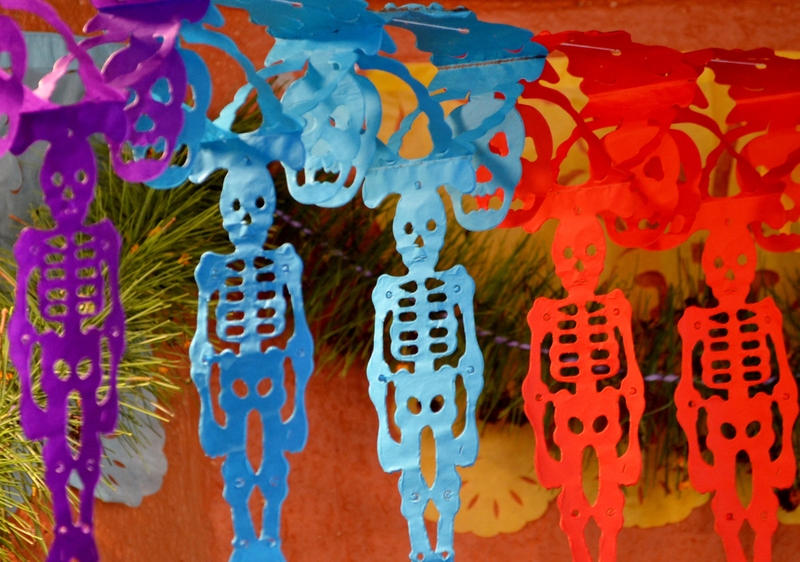 After lunch, you will have the afternoon to roam and capture Oaxaca street parades, and market vendors selling wild marigold, special breads, candies, and other Day of the Dead ritual necessities. We’ll meet in early evening to review our best of day work. Overnight Oaxaca. (B, L). Dinner on your own. Day 4, Thursday, October 30: After breakfast and learning, session you will have the day on your own. 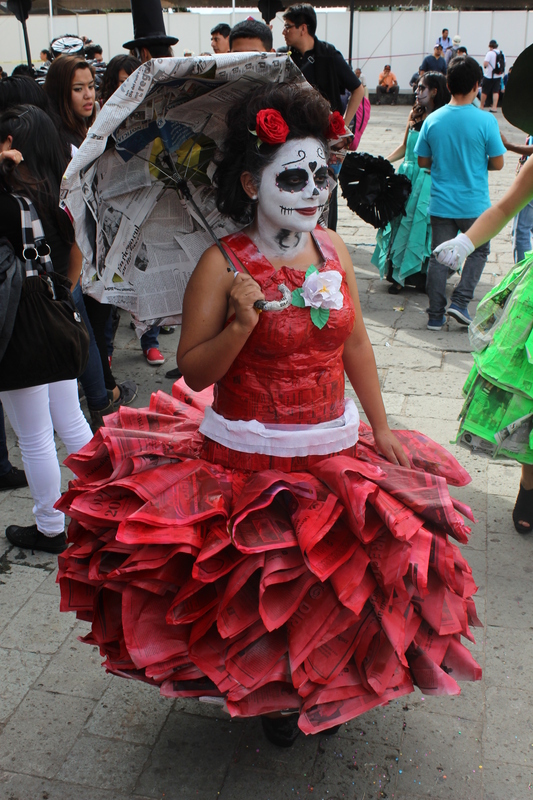 Today the streets are abuzz with Day of the Dead revelers. 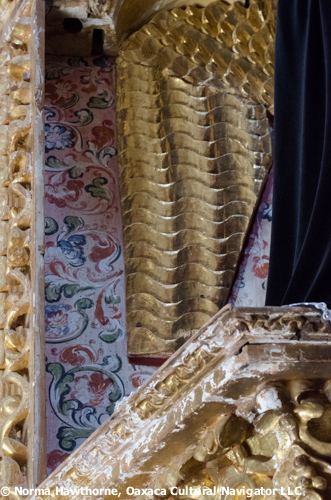 Shops and galleries have extraordinary altars on display. 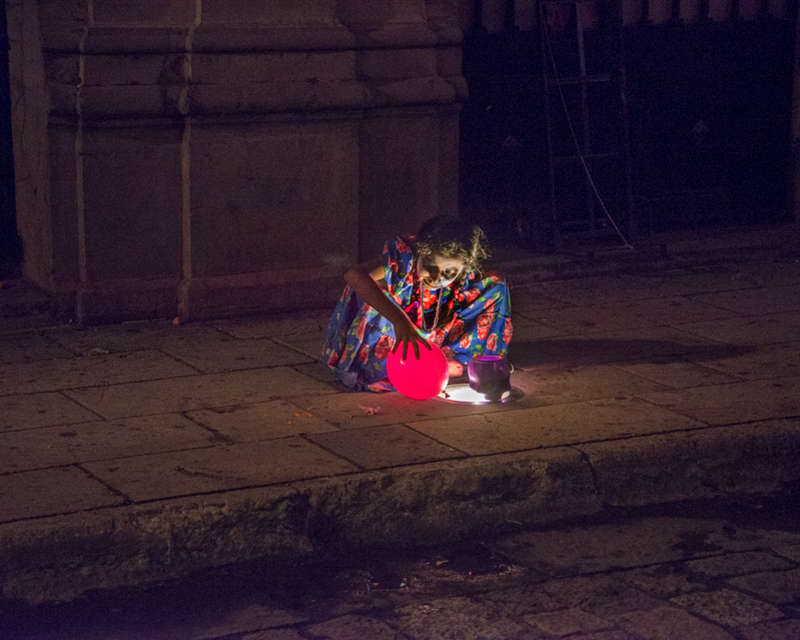 The sand paintings in the Zocalo and Plaza de la Danza are not to be missed. Optional afternoon technical coaching session with Frank. We meet again in early evening before dinner to review best of day work. (B) Lunch and dinner on your own. The expedition does NOT include airfare, taxes, tips/gratuities, travel insurance, liquor/alcoholic beverages, breakfasts and other meals not specified in the itinerary, and optional transportation. [ ] Option 1–Base Cost: Double room with shared bath; $1,895. Deposit to reserve: $950. [ ] Option 2: Single Supplement, private room with private bath; $2,295. Deposit to reserve: $1,150. 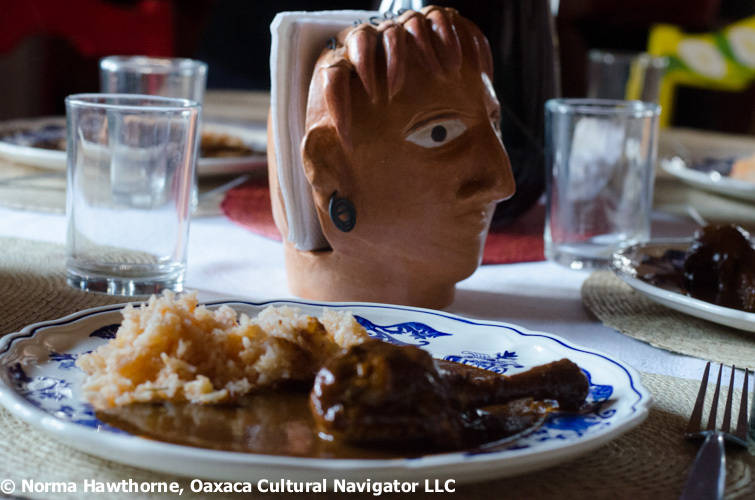 [ ] Option 4: Add-on Tuesday, November 4, Traditional Zapotec Cooking Class. 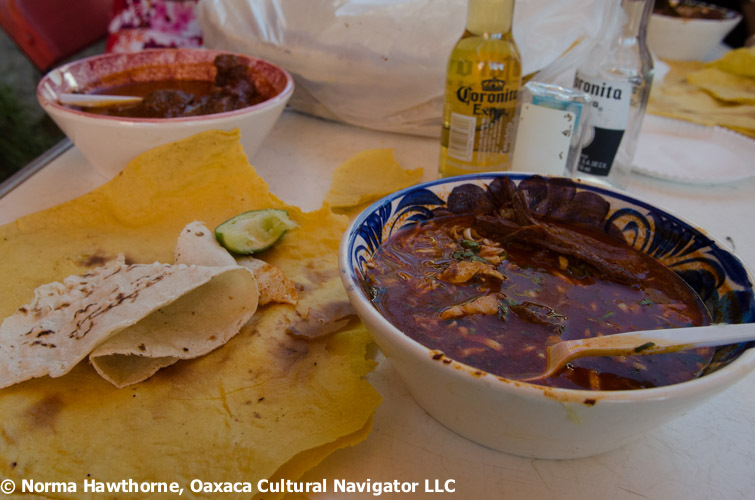 Learn how to prepare Oaxaca’s famed mole sauce. $125, includes one night lodging on November 4, breakfast, lunch, dinner, all recipes. 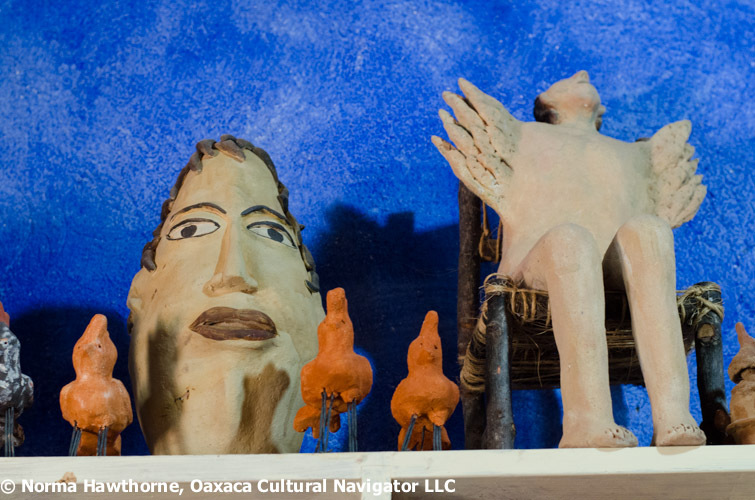 [ ] Option 5: Add-on nights in Oaxaca, City at $145 per night per person. 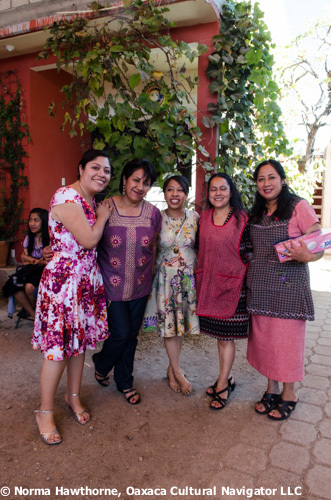 [ ] Option 6: Add-on nights in Teotitlan del Valle at $55 per night per person. 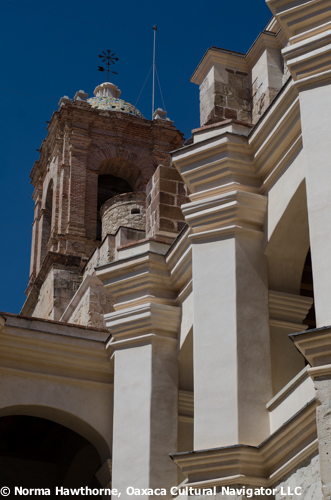 In Oaxaca City, we will stay in a lovely, highly rated intimate colonial-style hotel within a short walk to Santo Domingo Church, the Zocalo and all the major activities of the season. 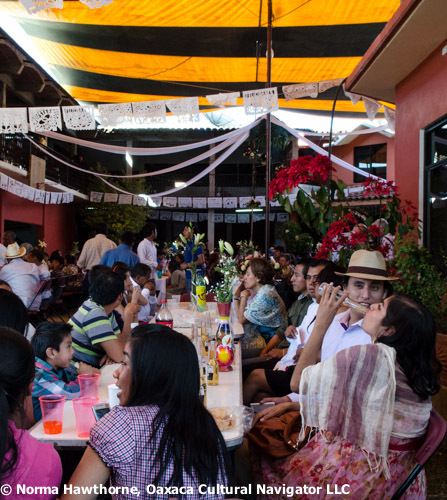 In Teotitlan del Valle, we stay in a family owned and operated guest house/posada where the meals are home-cooked and delicious. A 50% deposit will reserve your space. The final payment for the balance due (including any supplemental costs) shall be made on or before August 1, 2014. We accept PayPal for payment only. We will send you an invoice for your deposit to reserve when you tell us you are ready to register with your lodging and option preferences. Please understand that we make lodging and transportation arrangements months in advance of the program. 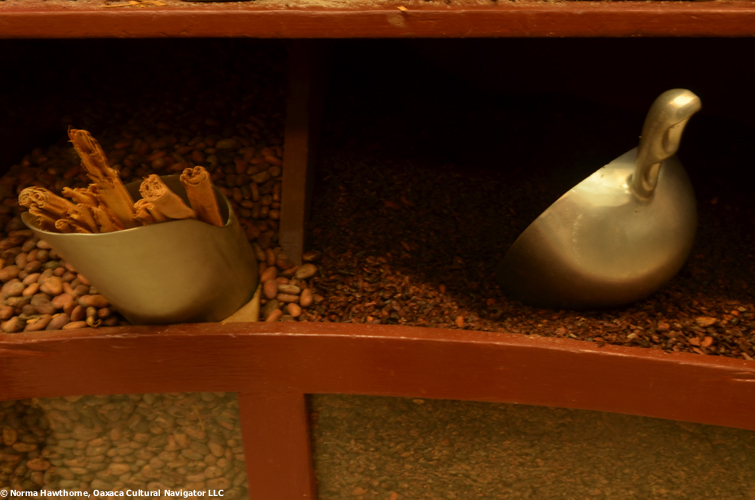 Deposits or payments in full are often required by our hosts. If cancellation is necessary, please notify us in writing by email. After August 1, no refunds are possible; however, we will make every effort to fill your reserved space or you may send a substitute. If you cancel on or before August 1, we will refund 50% of your deposit. We strongly recommend that you take out trip cancellation, baggage, emergency evacuation and medical insurance before you begin your trip, since unforeseen circumstances are possible. 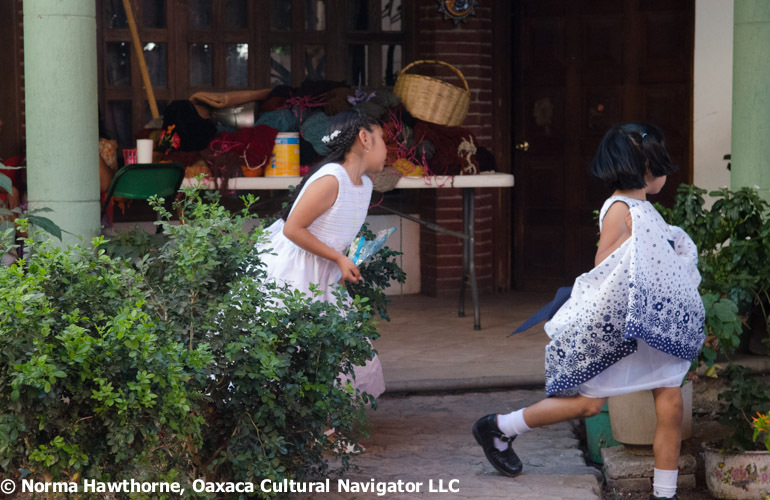 To register, email us at oaxacaculture@me.com or normahawthorne@mac.com. We accept payment with PayPal only. Thank you. Don’t let this workshop pass you by! Special thanks to 2013 workshop participants Barbara Szombatfalvy, Donna Howard, Steve Dank, Luvia Lazo, Starr Sariego, Ron Thompson, Kate Kingston, and instructor Frank Hunter for contributing photographs posted here.